Jayant impex pvt ltd, mumbai, india can provide cold forged hot forged alloy, metal and high strength bolts with complete material compliance. 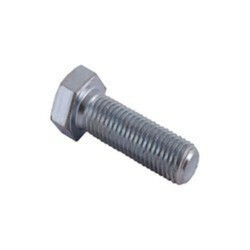 We are offering our client an excellent quality range of MS Hex Head Bolt. These MS Hex Head Bolts are made from very high quality stainless steel raw material which ensures high durability at its user end. 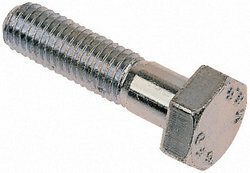 These MS Hex Head Bolts are available in various designer patterns and designs. Hexagon Head Bolts offeredfeature precision design and construction finish and can be made available in finish sizes of M6 to M52 as well as surface finish options of plain, zinc plated, hot dip galvanized and others. These Hexagon Head Bolts represent the perfect fusion of quality raw material and cutting edge technology.